The full story of a remarkable woman who has become legendary in the history of the French Resistance. 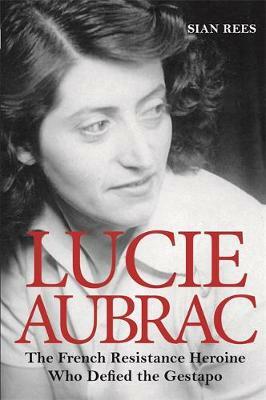 In May 1943, a young Frenchwoman called Lucie Aubrac engineered the escape of her husband Raymond from the clutches of Klaus Barbie, the feared Gestapo chief. When Raymond was arrested again that June, Lucie mounted a second astonishing rescue, ambushing the prison van that was transporting him. Spirited out of France with her husband by the RAF, she arrived in London a heroine. However, in 1983 Klaus Barbie made the bombshell claim that the Aubracs had become informers in 1943, betraying their comrades. The French press and the couple themselves furiously denounced this 'slander', but as worrying inconsistencies were spotted in Lucie's story, doubts emerged that have never quite gone away.?? Who was Lucie Aubrac? What did she really do in 1943? And was she truly the spirit of la vraie France, or a woman who could not resist casting herself as a heroine, whatever the cost to the truth? Sian Rees' penetrating account is the first full English-language biography of this extraordinary woman.